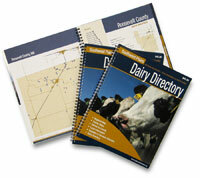 I’ve written before about the Southwest Plains Dairy Directory here on World Dairy Diary. I just got to interview the CEO of McCormick Company, the advertising agency that created the directory which was on display and available at World Diary Expo. I thought it was very interesting that an advertising agency did a project like this. The printed directory is also available in an online, searchable database.